RenderForCNN: Large-scale Training Data Synthesis by Rendering. Novel-view Feature Synthesis by Statistical Relationship Analysis. NEW [Mar 25, 2019] One paper accepted at SIGGRAPH 2019. NEW [Feb 25, 2019] Five papers from my students have been accepted at CVPR 2019. [Sep 4, 2018] I have one paper accepted at NIPS 2018. [Sep 4, 2018] I have one paper accepted at SIGGRAPH Asia 2018. [July 10, 2018] I am thrilled that ShapeNet has received the dataset award of SGP (Symposium on Geometry Processing) 2018! 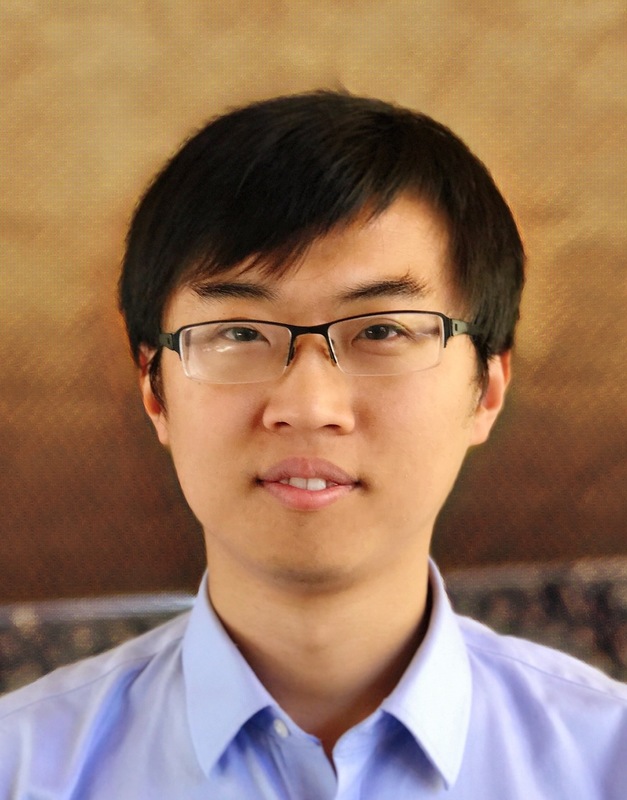 [Apr 15, 2018] I am proud to have Jiayuan Gu, Zhiao Huang, Zhiwei Jia, Ronald Yu, and Rui Zhu join my group as Ph.D. students starting from this fall! [Feb 19, 2018] I have 4 papers accepted at CVPR 2018. [July 7, 2017] A set of tutorial slides for 3D deep learning is uploaded. See the Talk and Course section of this webpage. [Jun 6, 2017] I will join the Computer Science and Engineering Department of UC San Diego as an assistant professor starting from July 1, 2017. [May 5, 2017] I am serving the program chair of 3DV 2017. [Mar 31, 2017] I am organizing the IEEE Workshop on Learning to See from 3D Data in conjunction with ICCV 2017, Venice, Italy. [Mar 31, 2017] I have one paper accepted at SIGGRAPH 2017. [Feb 27, 2017] I have 5 papers (2 first author orals, 1 spotlight, 2 posters) accepted at CVPR 2017. [Feb 24, 2017] I am giving an invited talk at UC San Diego in April. [Feb 10, 2017] I am giving an invited talk at Cornell University in April. [Jan 17, 2017] I am organzing a tutorial on 3D Deep Learning at CVPR 2017, Hawaii, USA. [Dec 15, 2016] Posted the slides of my recent talks on 3D representation learning and synthesis for learning. They summarize the majority of my efforts in the past 3 years. [Nov 24, 2016] I am giving talks at MIT (Brain and Cognitive Sciences Department and CSAIL), on 3D object reconstruction and abstraction by deep learning. I will give a talk at Adobe and Facebook on understanding geometries from sensor data. I am invited to give a talk at NIPS workshop on 3D Deep Learning and 3DV workshop on Understanding 3D and Visuo-Motor Learning. See you there! I have published 1 paper at NIPS, 3 papers at SIGGRAPH Asia, 1 paper at ECCV (spotlight), 2 papers at CVPR (1 spotlight) in 2016, and 1 paper at 3DV (oral) in 2016. I am serving the Publication Chair for International Conference on 3DVision (3DV-16), Stanford, USA. Welcome to join us and visit Stanford! To visit Europe for two weeks in early November of 2015 and give talks on Joint Analysis for 2D Images and 3D shapes at several institutes, including Max Planck Institute (Germany), Ecole Polytechnique (France), Ecole Normale SupA(C)rieure (France), Tel Aviv University (Israel) and The Hebrew University of Jerusalem (Israel). Talk on Joint Analysis for 2D Images and 3D shapes at UC Berkeley, Oct 16, 2015. I have two oral papers accepted by ICCV 2015 (2% acceptance rate for oral presentation). I have one paper accepted by SIGGRAPH Asia 2015. I am organizing the IEEE Workshop on 3D Representation and Recognition (3dRR-15) in conjunction with ICCV 2015, Santiago, Chile. I am organizing the IEEE Workshop on 3D from a Single Image (3DSI-15) in conjunction with CVPR 2015, Boston, USA. Gave three talks during my visit in China this summer, at Tsinghua University, Beihang University, and Shandong University, Aug, 2015. Talk on Joint Analysis for 2D Images and 3D shapes at UCLA, March, 2015. Talk on Depth Estimation from a Single Image via Shape Collection at UC Berkeley, Aug, 2014. My lab (SU Lab) works on Structure Understanding, Shape Understanding, and Scene Understanding problems that are relevant to artificial intelligence. I am interested in both theories and algorithms to address the problems. 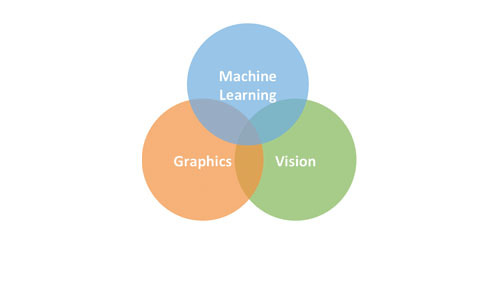 My publications are distributed in machine learning, computer vision, computer graphics, and robotics journals/conferences. I am leading the construction of ShapeNet, a large-scale 3D-centric knowledge base of objects (SGP Dataset Award), and used to work on ImageNet, a large-scale 2D image database (PAMI Mark Everingham Prize). Applications of my research include robotics, autonomous driving, virtual/augmented reality, smart manufacturing, etc. revamped version of the previous 3D ML course with more references to classical materials of geometry. Introductory course of computer vision for junior undergraduate students. Broad topics in deep learning, shape analysis, and 3D machine learning are covered. A co-organized tutorial to 3D deep learning techniques, given at CVPR2017 held in Hawaii. Some representive work of CV/CG community in the recent years on this topic are selected and discussed. This is extended from a graduate course I taught in the spring quarter of 2017 at Stanford. Many thanks to my colleagues. Part level understanding of 3D shapes is critical for extracting interpretable structures of objects. Rather than asking how to leverage object part structures, in the past year, I am more interested in how to discover parts of 3D shapes by machine learning approaches. This talk summarizes the recent explorations of my collaborators and myself along this vein. A very quick introduction to 3D deep learning, primarily based upon my own work (pardon me if I skipped some imporant historial work (e.g., Shape from Shading), or missed your important and interesting recent papers). A much more comprehensive version can be found in the course section. How to consume or generate irregular representations for networks, such as sets of points and geometric primitives. Based upon 3 latest papers of mine. Use synthetic data to train learning algorithms for applications such as viewpoint estimation, human pose estimation, and robot perception. Based upon 5 recent papers of mine. In this paper, we synthesize novel viewpoints across a wide range of viewing directions (covering a 60 deg cone) from a sparse set of just six viewing directions. How to build sample-efficient transfer learning algorithms in the continuous control setting? This paper shows that the commonly used policy-based methods are prone to getting stuck in local minimums, while value-based methods can converge much faster when transferred to a new environment. A simple learning-based binary neural network pruning scheme. A 3D object database with fine-grained and hierarchical part annotation. To assist segmentation and affordance research. The first large-scale database suitable for 3D car instance understanding, ApolloCar3D, collected by Baidu. The dataset contains 5,277 driving images and over 60K car instances, where each car is fitted with an industry-grade 3D CAD model with absolute model size and semantically labelled keypoints. New Binary Ensemble Neural Network: More Bits per Network or More Networks per Bit? Ensemble of binary neural networks has better stability and robustness, and may perform as well as floating-point networks. An attack-agnostic defense mechanism for neural networks. A summary of my work on 3D deep learning between 2014 and 2018. I also include a projection of the future directions in this field and some open problems in my mind. Traditional approach for spline fitting requires a strong intialization. In this work, we explore a deep learning based approach to address the challenge. This work and the DeepPrimitive work (below) are internship projects of Jiahui Huang (currently Ph.D. at Tsinghua) and Jun Gao (currently at UToronto) to explore how we convert an image to a vector graph. However, the two papers have not fully addressed the challenges yet. Build a geometric interpretation of an image by discovering simple primitives and generating a layer-wise representation. A weakly-supervised method to discover 3D object parts driven by functionality. Understand the structures of objects from a pair of similar instances under different object articulation states. An ICP-like deep learning based framework. A weakly-supervised method to discover 3D object parts by neural networks, leveraging the implicit consistency induced by deep neural networks. To address the training data scarcity problem in video representation learning, we explore geometry cues, which can be acquired without cost, as an auxiliary signals for semantic understanding. Human bodies are deformable shapes and applying existing approaches to synthesize novel views of human bodies from a single view is difficult. This paper disentangles novel-view synthesis as a depth estimation problem and a geometry-based flow prediction problem. 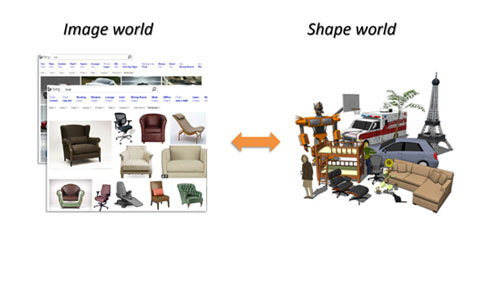 Introduce the concept and computational model of "part state", an intermediate representation for object interaction modeling and image captioning. A dataset is provided, as well. One of PointNet series of work, focusing on amodal 3D object detection and instance segmentation. Leading performance on KITTI 3D object detection benchmark (RGB-D data for autonomous driving) as of Nov 17, 2017. Transfer geometrical and physical attributes from product catelog to 3D models in ShapeNet. Deep network architecture for processing point cloud of cluttered scenes that often have non-uniform sampling density. Build upon PointNet, our CVPR2017 paper. 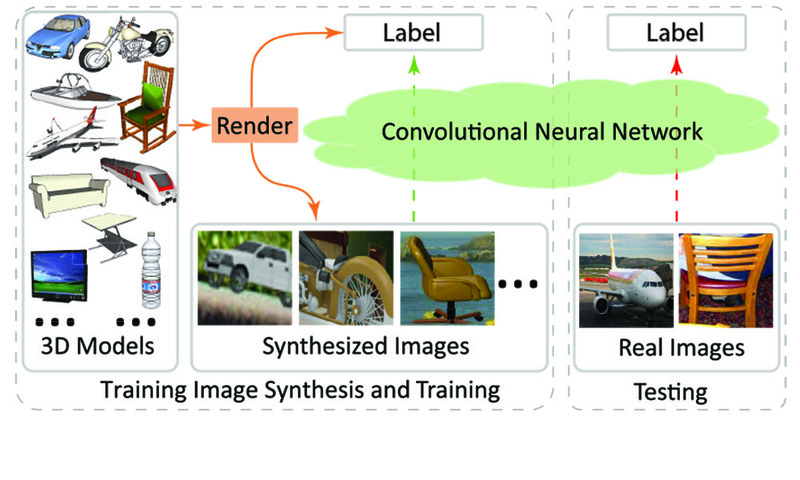 Deep learning based approach for part-based 3D model synthesis. Given a partial construction (e.g., a chair in design), this method proposes a new component (e.g., arm) that is compatible with existing shape in style. Learn a consistent part hierarchy from a large collection of 3D models with scene-graph structure. Build a generative neural network to directly output a set of unordered points. As applications, it can be used for single-image based 3D reconstruction and shape completion. Build a neural network to directly consume an unordered point cloud as input, without converting to other 3D representations such as voxel grids first. Rich theoretical and empirical analyses are provided. A convolutional neural network on generic graphs of non-isometric structures. Spectral analysis (spectral domain synchronization) is conducted to enable effective kernel weight sharing. Part segmentation as an application. Learn to abstract polygonal meshes by a flexible number of simple primitives such as cuboids. The abstraction is category consistent. Show that the material attributes of ShapeNet models can be useful to train algorithms for understanding the material and optical properties in Internet photos. 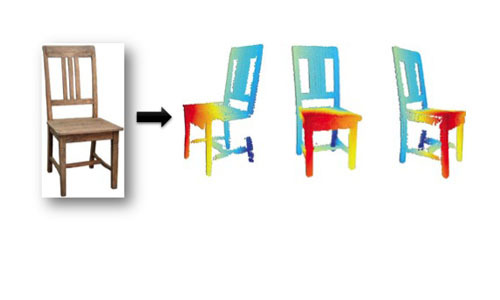 Novel architectures for 3DCNNs that take volumetric or multi-view representations as input. Extend RenderForCNN (my ICCV'15 paper) for 3D human pose estimation focusing on domain adaptation and data augmentation by automatic texture transfer. A large-scale image-shape database by linking ImageNet and ShapeNet at instance level. Teach robots to identify objects with fewest movements and scans. We trained a 3D attention model by reinforcement learning. Transfer textures from product images to 3D shapes. The increased texture variation in ShapeNet is validated to be effective for RenderForCNN (my ICCV'15 paper). Annotate the parts for ShapeNet by crowd-sourcing and label propagation with high efficiency and accuracy. Technical report for SHREC'16, the most renowned challenge for 3D shape retrieval. 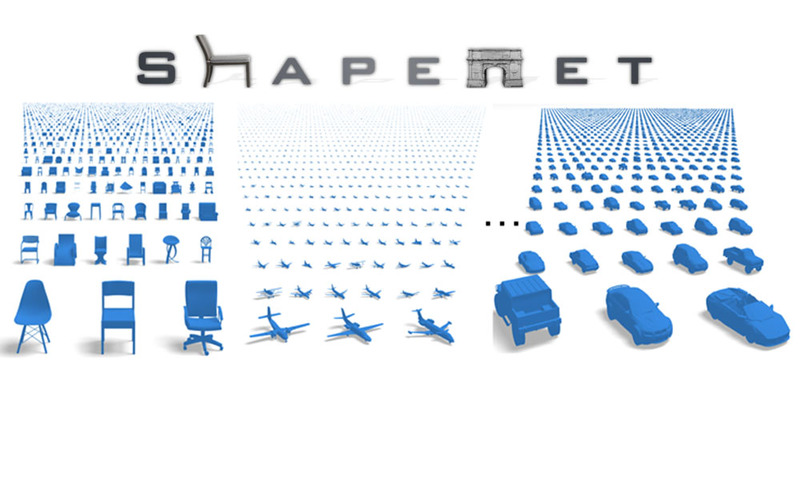 The official report of ShapeNet, an object-centric database of semantics, geometry and physics. 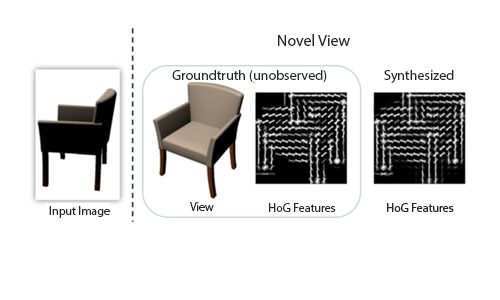 Synthesize features at novel views of a 3D object from the observed viewpoint, leveraging on the geometric priors from ShapeNet. Show that large-scale synthetic data rendered from virtual world may greatly benefit deep learning to work in real world. Deliver a state-of-the-art viewpoint estimator. Cross-modality learning of 3D shapes and 2D images by neural networks. A joint embedding space that is sensitive to 3D geometry difference but agnostic to other nuisances is constructed. The technical report for ImageNet Challenge. Learn to estimate the depth from a single input image assisted by geometric priors from a 3D shape collection (later merged to ShapeNet). Multi-layer sparse coding for compressing ObjectBank representation. A system to annotate object bounding boxes for ImageNet by crowd-sourcing. This system is used to collect bounding boxes for ImageNet Large Scale Visual Recognition Challenges. Learn to describe scenes by responses from object detectors. Can be viewed as a layer-wise trained CNN (Gradient-HoG-Part-Object-Scene hierarchy). Continuous viewpoint estimation by a graphical model. Discrete viewpoint estimation by a graphical model. A very efficient 3D deep learning method for volumetric data processing that takes advantage of data sparsity in 3D fields. Estimating the density of a population by adaptively partitioning the space according to discrepancy criteria. Measuring discrepancy of two samples by a Bayesian approach. Given a node in a large-scale transition graph, how to efficiently find those nodes that have this given node as a top k nearest neighbour (reverse top-k search problem). The inverse of PageRank problem. Sparse-group LASSO model is a linear regression model that encourages simultaneous element-wise sparsity and group-wise sparsity. This work studies the key component in optimizing such a model by projection-based algorithms. Discover common sub-structures from a large set of taxi trajectories. Formulated as a linear programming problem, in a spirit similar to probabilistic topic models (pLSA).